Foxit PDF Reader 2.0.0912 0 out of 5 based on 0 ratings. * Interactive form filler: Now you don't have to print out PDF forms first and then manually fill out paper forms. Instead, you can use PC to fill out interactive forms directly, and then print them out, save them, email them or export the form data into FDF file for further processing. * Multi-language UI that can be dynamically switched: The user interface of Foxit Reader now can be switched to different languages dynamically, thanks to the generous help from our user community. * On-demand download of add-on: With add-ons, the function of Foxit Reader can be extended unlimitedly. New function modules and seldom used modules are packed as add-on. Users only download them when needed. Foxit Reader highly respects the security and privacy of users and will never connect to Internet without users' permission. While Acrobat Reader often silently connect to the Internet in the background. 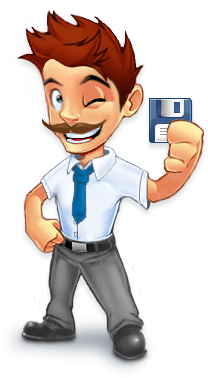 * Self-upgrade: In the past, when you want to upgrade Foxit Reader, you have to frequently visit Foxit website, check for new release, and then manually download the new version, uninstall the old version and re-install the new version. Now this whole process is simplified and you only need to click on the menu item "Check for update now". * Improved printing speed: Printing a PDF file with many images in it to a PostScript printer used to be slow. Version 2.0 has been optimized for such printing. * Streamlined UI: Version 2.0 comes with a neat UI. Annotation tool buttons are grouped together, instead of being showed on several toolbars.